If you have had a catastrophic injury matter happen in your life and need help, The Law Offices of John M Alton Co, LPA is here for you. I can assure you that we will always act with the utmost respect for your feelings and with the highest ethical standards. I will work hard to find a fair solution that works for you to make your catastrophic injury a thing of the past emotionally and financially, and win your battle. We are very thorough with all catastrophic injury matters, and will treat your situation with the highest priority and concern. 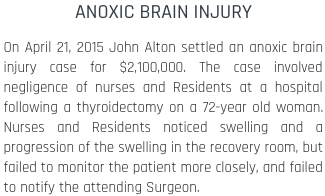 The Law Offices of John M Alton Co, LPA is very familiar in dealing with catastrophic injury cases. I understand that your time and money are very important and valuable. I also understand that, in order to achieve the just financial compensation that you deserve for your pain and suffering, you need the right type of legal advice. The Law Offices of John M Alton Co, LPA is here to help make that happen for you. My intention is to work for you, take on your catastrophic injury case with an aggressive stance and prevail with results. If you live in the Ohio area, I am ready to assist your catastrophic injury matter now. 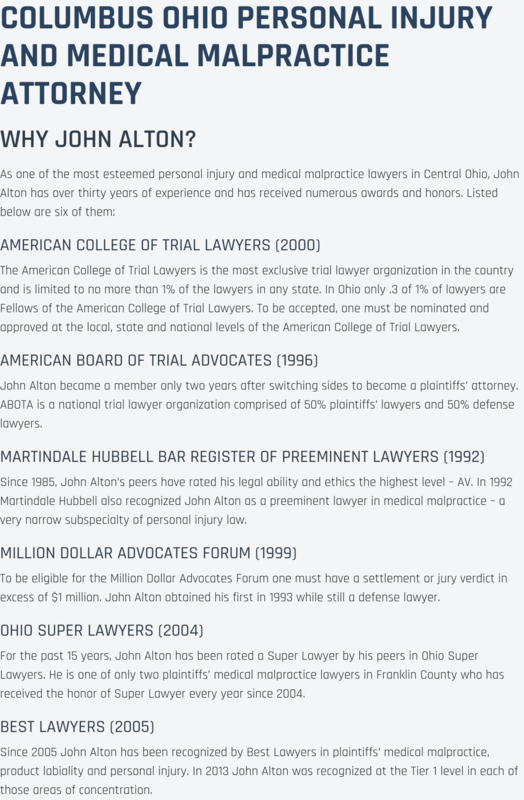 At The Law Offices of John M Alton Co, LPA, I understand how to handle the many different types of benefit claims for clients in the Ohio area. I will work hard to ensure that you receive fair compensation for your injuries and that Ohio area insurance companies pay you what you deserve. I will evaluate your catastrophic injury case. I will take the time to determine if you are likely to suffer in any other ways in the near future to protect your long term goals. 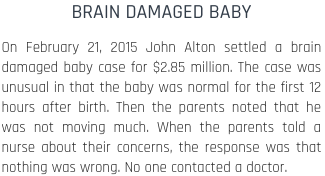 Call The Law Offices of John M Alton Co, LPA now and see the results you want! We understand the difficulty of dealing with the catastrophic injury legal process while having to deal with the effects of it as well. Call us today at (614) 221-6751 and we will help you get the right compensation to pay of your Ohio hospital bills.